Le Pain Quotidien Restaurant UAE, last updated on 2 Febraury 2017 , is listed under French Restaurants category. It was added to UAE Directory Rinnoo.net on 20 November 2015 . 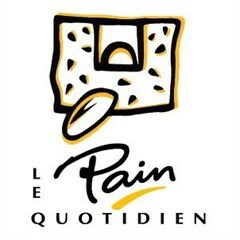 Pages of Le Pain Quotidien Restaurant UAE on Rinnoo.net have achieved 22,950 views till now. What he wanted was so simple: bread, hearty and wholesome, with a firm slice and a good crust. Alain Coumont learned about bread as a small child, standing on a chair every Sunday watching his grandmother bake bread. As a young chef in Brussels, Alain could not find the right bread for his restaurant. Passionate about quality, he returned to his roots and opened a small bakery where he could knead flour, salt and water into the rustic loaves of his childhood. In Le Pain Quotidien, whenever we can, we source organic ingredients. This way, we not only build lasting and meaningful partnerships with organic farmers, but we also ensure our ingredients are of the highest quality. It's about finding the very best, in a way that is good for all of us. Our bread is made today exactly as it was in the beginning: with only organic stone-ground flour, salt, and water, kneaded and shaped by hand and baked in a hearth under the watchful eye of artisan bakers.We insist on the freshest and finest ingredients. If we can't find them, we make them ourselves.